“…for people aspiring to the spiritual, there happens one and the same story: with honor and dignity, going through years of their life, retaining love for God through twists and turns of existence, they find unknown divine power, soulful gratification, and inner peace. They fear not Life; nor do they fear Death. For Life to them is but a temporary refuge for Soul; for Death to them is the Door to everlasting life, into the world of God. And the point is that spiritual people not only believe: they know about realities of the higher world. While those, who find comfort in thought about existence, being in the system of deceit, are not even able to believe, for not only they cannot see true reality behind the shroud of existence, but they cannot even adequately evaluate their own lives. To each his own, though: what one chooses, that is what he gets." “Human strives for the Light. Pure Light preserves the Primordial in itself, That, which human was created from. For he is the Emitting Light, originating from the Source. But man often perceives Reflected Light as Emitted one. Blinded by it, he thirsts for Truth, not understanding that it is merely a distortion of it. And only a true Eye is able to behold the essence!" 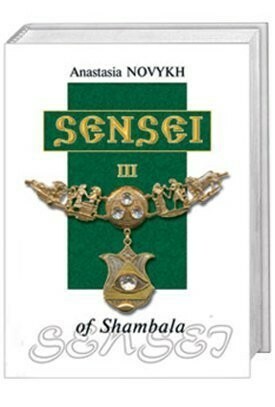 The book tells about one more exceptional day that the martial arts group spends at the seaside together with Sensei. There a rich and unusual guest visits them – Ariman, who has his own worldview, his own philosophy and his own methods to survive and achieve wealth in this world. Besides Sensei's worldview, one more strong opinion is put on the scale of youngsters' personal choice. Who the reader himself chooses – that is what the book's plot is about.